Luke Carlin, 38, becomes the Captains' 13th field manager. 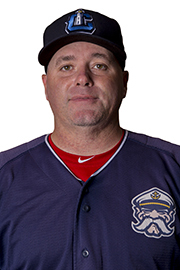 Carlin spent last season in Short-Season as the manager of the Mahoning Valley Scrappers. Before Mahoning Valley, Carlin began his coaching career as the hitting coach for the Double-A Akron RubberDucks in 2016. Carlin was drafted by the Detroit Tigers in the 10th round of the 2002 Amateur Draft. Carlin made his Major League debut with the San Diego Padres in 2008 and played for the Arizona Diamondbacks in 2009. The catcher joined the Cleveland Indians in 2010 and played in 10 Major League games with the Tribe from 2010 to 2012. Carlin was also part of back-to-back Triple-A National Championship teams with the Columbus Clippers under the direction of Indians' current Third Base Coach Mike Sarbaugh. In his playing career, Carlin played for three men who are current Major League managers: Rick Renteria (Chicago White Sox), Bud Black (Colorado Rockies) and A.J. Hinch (Houston Astros). 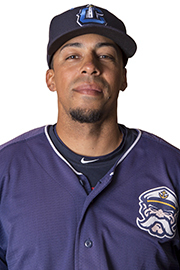 Joe Torres, 35, becomes the Captains' pitching coach after holding the same position last year in the Arizona League with the AZL Indians. This is Torres' second year in the Indians' organization. The left-handed pitcher was drafted in the first round (10th overall) by the Anaheim Angels in the 2000 Amateur Draft. Torres played for 13 seasons, reaching as high as Triple-A. Prior to joining the Indians, Torres coached at King's Ridge Christian Academy in Georgia. 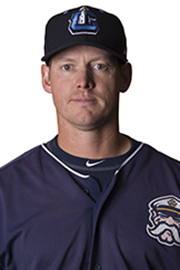 Pete Lauritson, 39, will serve as the Captains' hitting coach after making his professional coaching debut last year as the hitting coach for the Short-Season Mahoning Valley Scrappers. In 2016, Lauritson served as an Assistant Coach at his alma mater, the University of Iowa. Prior to that, he spent 13 seasons on the coaching staff for North Iowa Area Community College, where he helped the Trojans to three appearances in the NJCAA Division II College World Series. Lauritson graduated from the University of Iowa in 2002 with a degree in psychology. 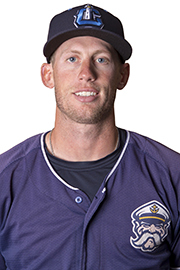 Kyle Hudson, 31, joins the Captains after making his professional debut last year as the bench coach for the High-A Lynchburg Hillcats. Prior to joining the Indians, Hudson served as an Assistant Coach for his alma mater, the University of Illinois. At Illinois, Hudson was a three-year letter winner in both baseball and football. He was drafted by the Baltimore Orioles in the fourth round of the 2008 Amateur Draft. Hudson made his Major League debut with Baltimore in 2011 and played 14 games in the big leagues. The outfielder played eight professional seasons with the Orioles, Rangers, Rays, Phillies and Angels' organizations. Hudson lives two doors down from Indians pitcher Zach McAllister in Peoria, IL.